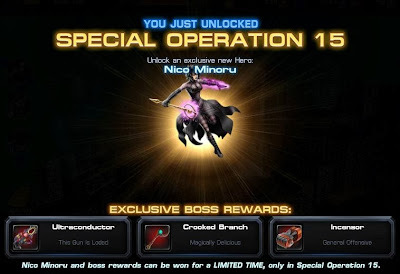 Here's the full list of tasks to complete to finish Spec Ops 15 and recruit Nico Minoru in Marvel Avengers Alliance. 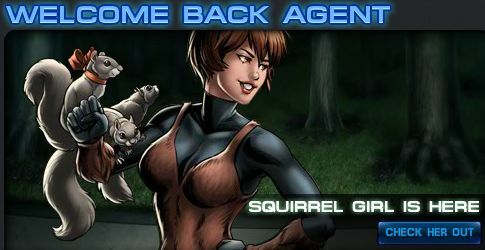 Marvel Avengers Alliance: Spec Op 14 Begins! Patch Notes! 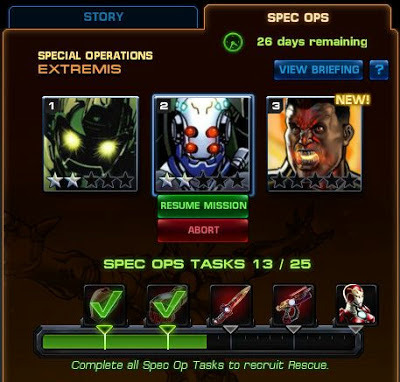 Spec Ops 14 launched today for Marvel Avengers Alliance. This one features a tie-in with the upcoming Thor: The Dark World movie and as such the Heimdall is yours for the taking if you finish this round of tasks. 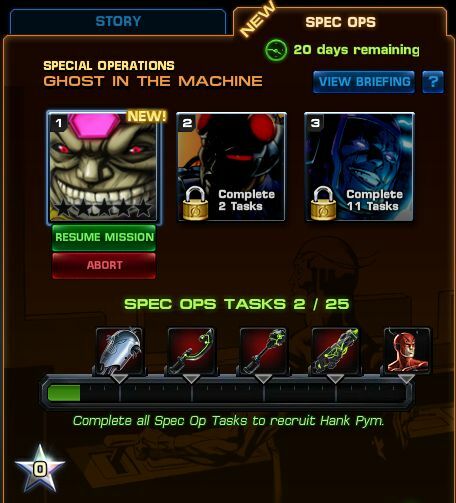 There's a group boss again this time. 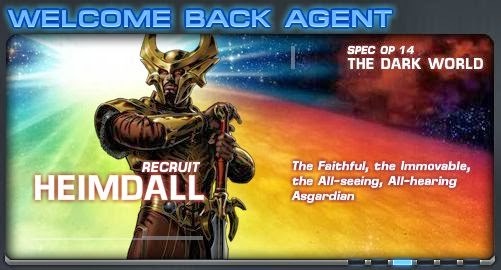 It's Kurse, the dark elf lieutenant and if you get lucky with the collected lockbox, you'll recruit Loki. 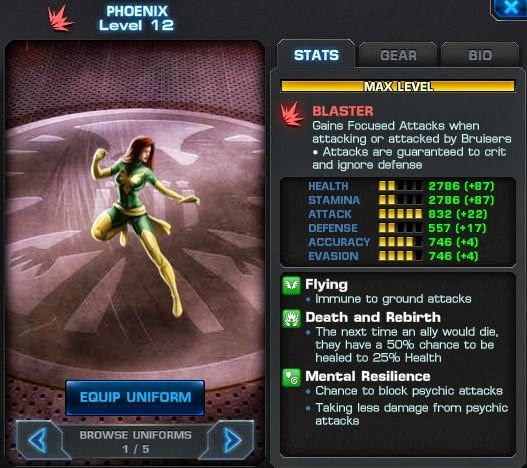 Phoenix got a bit of a nerf to her resurrection and Phoenix fire ability in the latest round of "bug fixes" in Marvel Avengers Alliance. 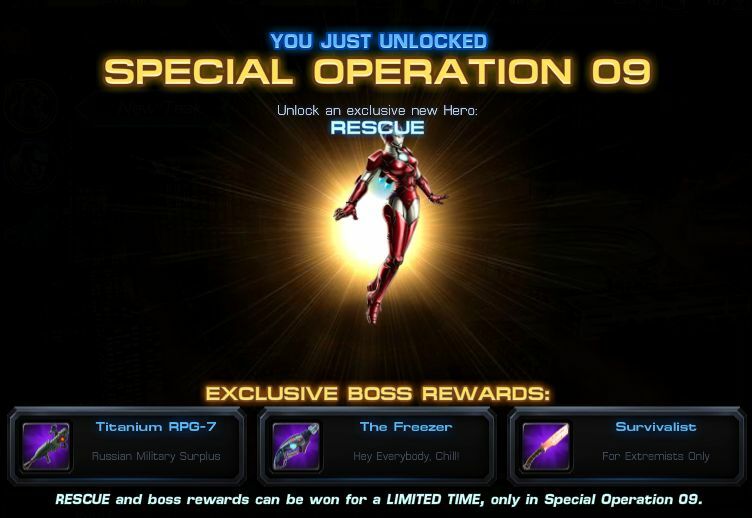 Basically, she now only has a 50% chance of preventing an ally (or herself) from dying and the ability no longer gives her a damage buff. 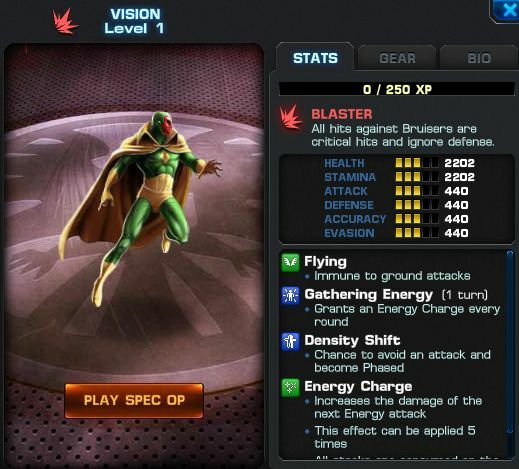 Phoenix Fire no longer removes buffs from enemies. 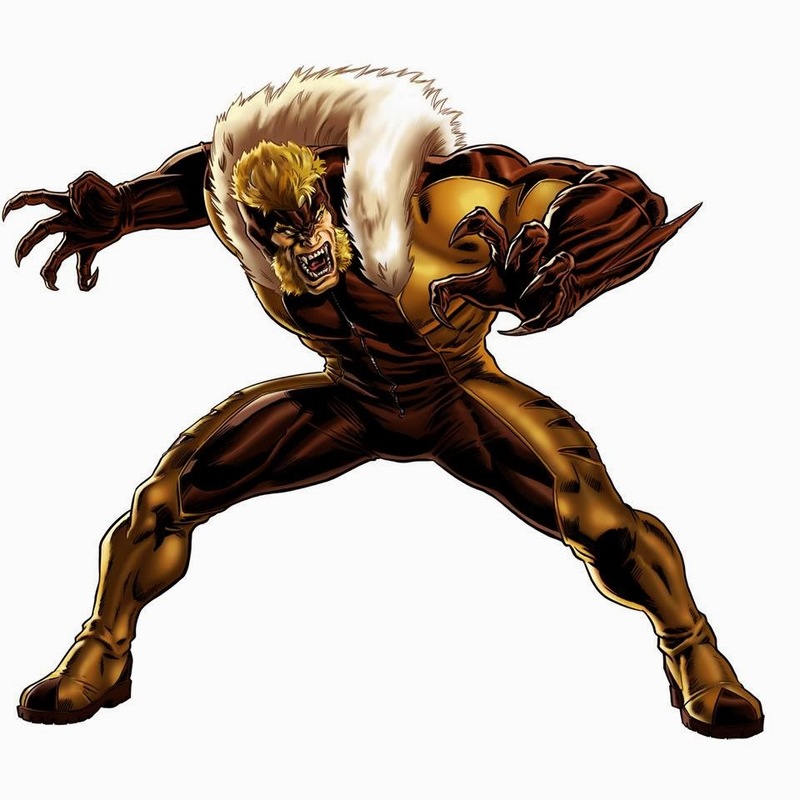 Marvel Avengers Alliance: Spec Ops 11 Launches! Daimon Hellstrom Up for Grabs! 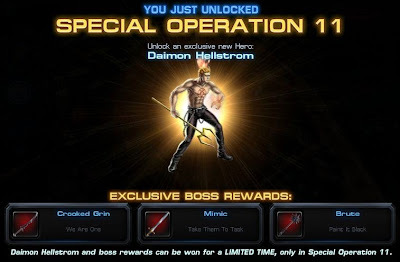 Marvel Avengers Alliance Spec Ops 11 just launched today and the hero to be recruited this time around is Daimon Hellstrom, a Blaster who gets bonuses when's he's debuffed... mostly by his own attacks. You might want to hurry through the initial quests to unlock the group boss, Blackheart, because Daimon's sister, Satana, is the lockbox hero/anti-hero this time around. The faster you unlock the more spawns you can squeeze out. 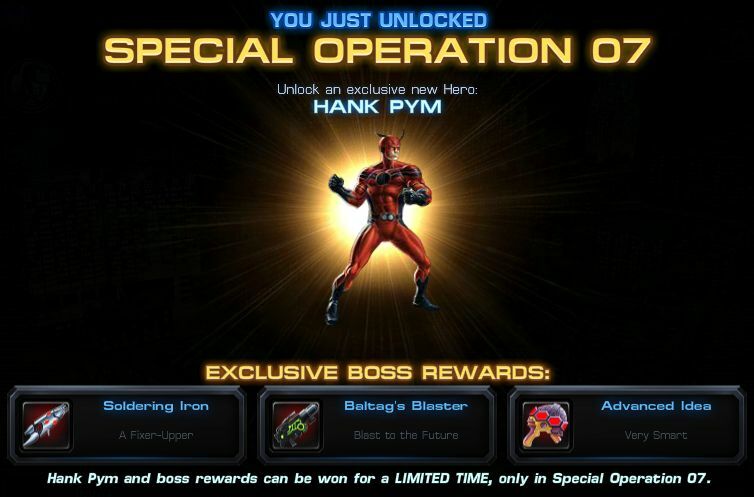 In a bit of poor timing, Playdom recently patched Marvel Avengers Alliance with some hero changes... about a week before the PVP Season is slated to finish. 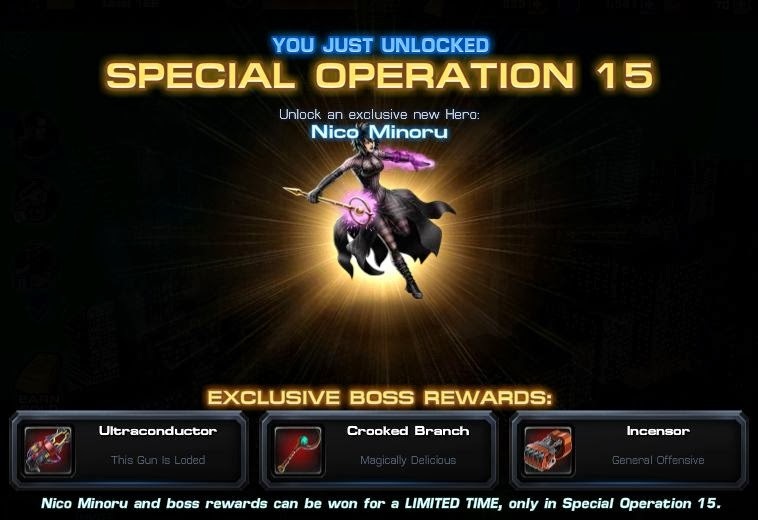 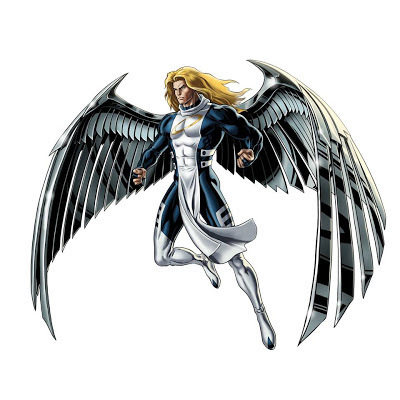 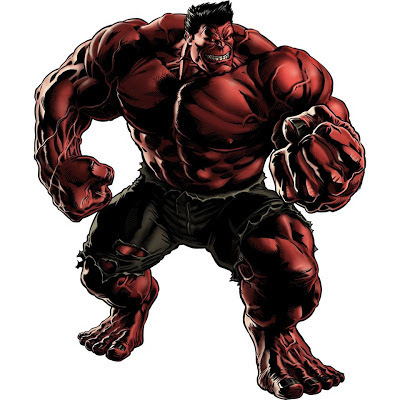 The changes effect some high-usage heroes like Rescue, Magneto, and Thor. 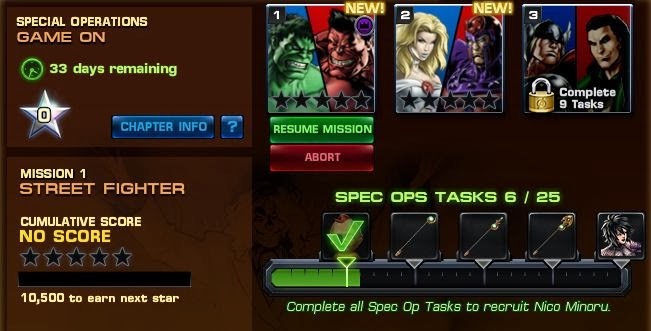 Specifically, Thor and Phoenix get a buff in that their respective group buffs are now quick actions that really wasn't needed (say hello to "Inspire Bravery" and "Thunder" in one go). 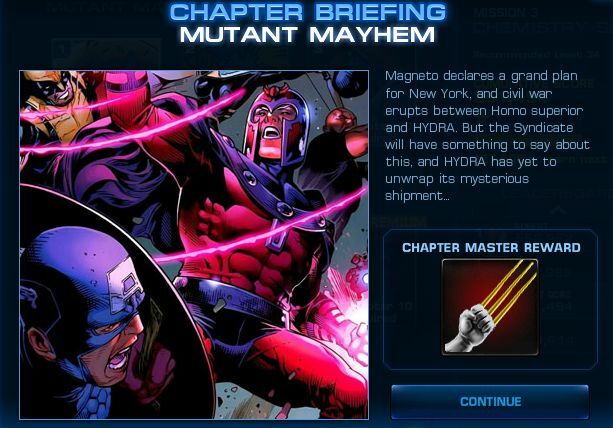 Magneto and Rescue on the other hand got hit with the nerf bat. Magneto's shield now has a duration and he does slightly less damage on his main attack. 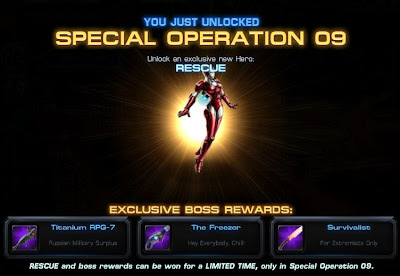 Rescue now only has a chance to remove buffs (70%) on each hero's turn and got an all around nerf on Reconstruction Matrix (it doesn't remove DoTs and heals/shields for less). 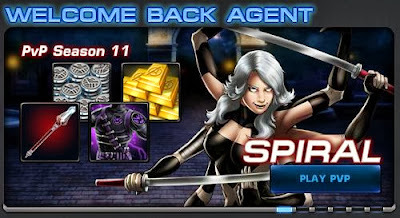 Also the Warbringer Axe is now better and worse (but mostly better), the buff now applies after the very first action rather than on the Agents turn (which means an attack buff straight away), but goes away once the Agent is defeated. 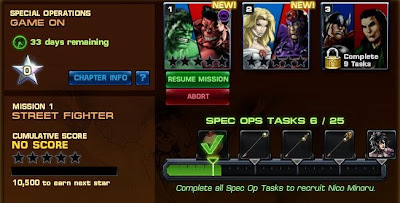 It looks like Playdom is trying something new for Marvel Avengers Alliance and adding sponsored tasks ("Sponsored Covert Tasks"). 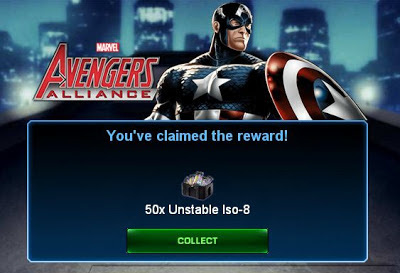 The new side task looks like it's sponsored by UL, whose certification you might recognize on some of your electronics and what not. The tasks are pretty easy to do and you get a nifty device called a Charge Dissipator out of it that gives you a nice defensive passive buff (and 5% attack bonus) or a decent PVP bonus if you decide to slot it in your armory. 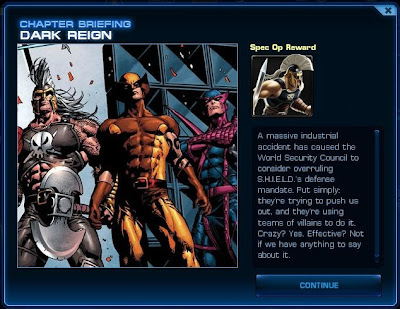 The latest patch for Marvel Avenger's Alliance features key buffs to the Phoenix Five version of Cyclops and Magik and may see the two appear more frequently in PVP. 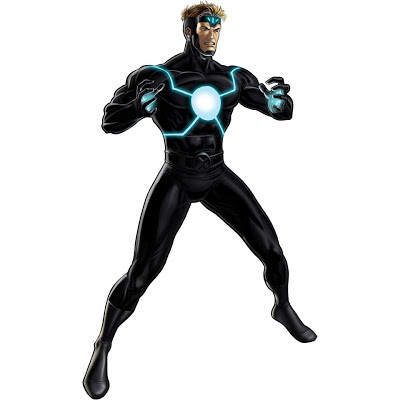 The biggest buffs come to Cyclops who, among other things, gets a new passive to increase teammates' stats and a buff to Optic Blast (Flanking - grants Follow-Up) that may let him one-shot a Blaster. 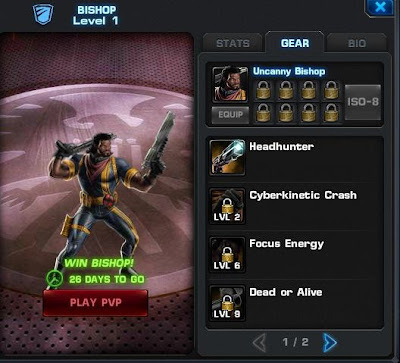 His AOE also now causes Incapacitate. 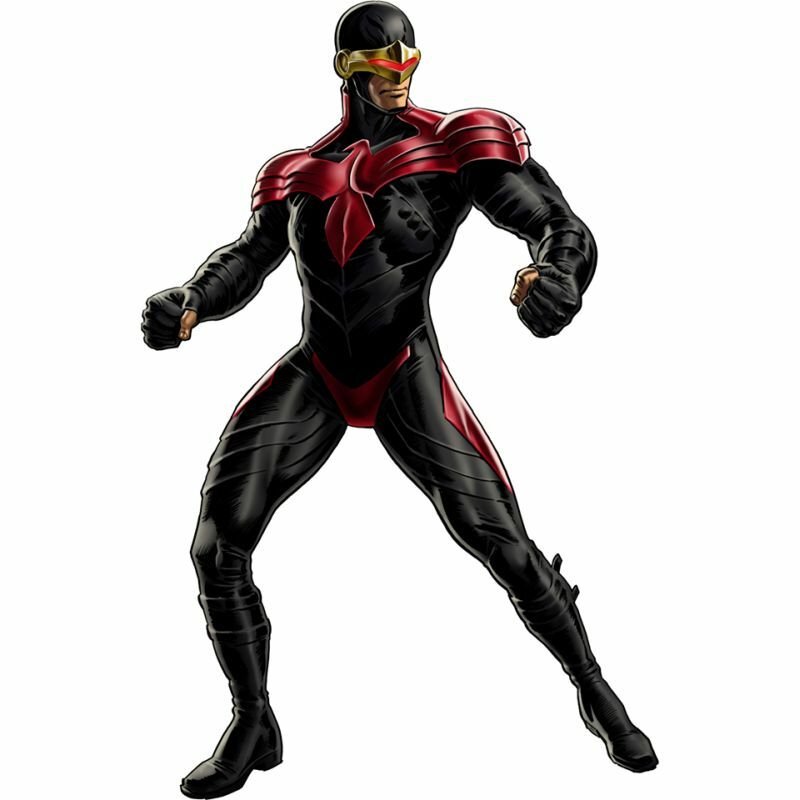 The P5 passives on Cyclops and Phoenix have been upped to 40% which brings them in line with the other P5 costumes. 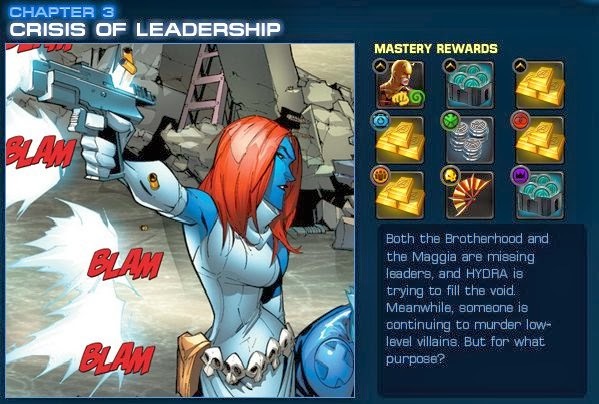 Changes to Magik should make her more viable for PVP as her Soulsword now increases her survivability a little and she doesn't take as much of a hit from being debuffed as before. 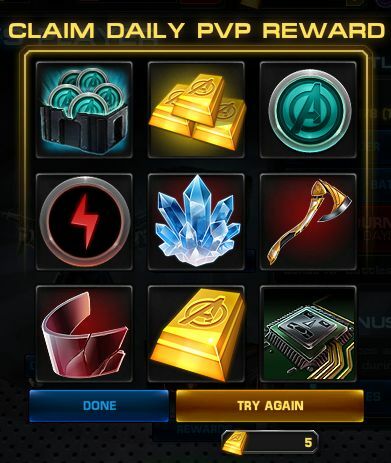 Marvel Avengers Alliance is currently running a 3 day sale featuring three past items for a limited time. 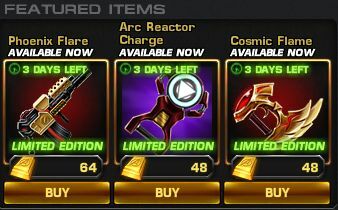 One of them the Phoenix Flare costs 64 Gold, but the other two, Cosmic Flame and Arc Reactor Charge, are offered at a discounted 48 Gold each. Marvel Avenger's Alliance: PVP Season 9 Launches! Angel Up for Grabs! 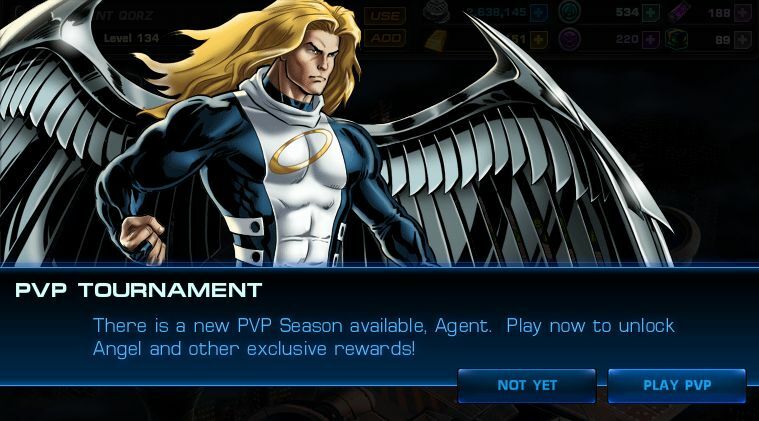 PVP Season 9 just launched for Marvel Avenger's Alliance with X-Men original member Angel up for grabs. 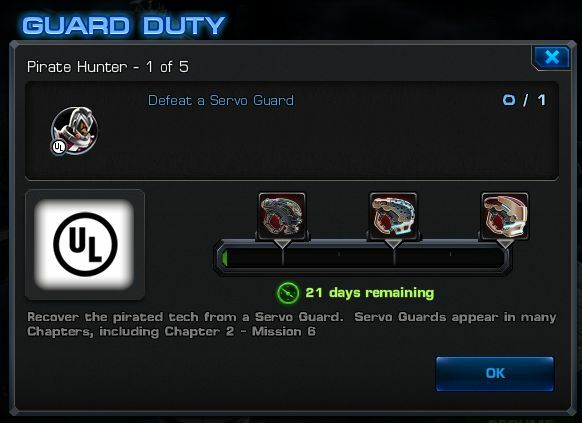 The season runs for 27 days. The requirements for rewards have changed to make it a little easier for players to get to the higher tiers. 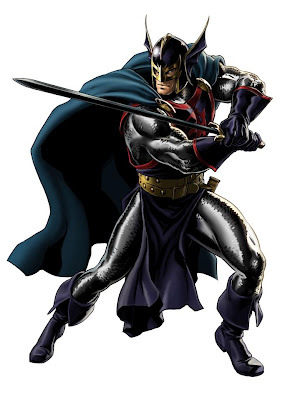 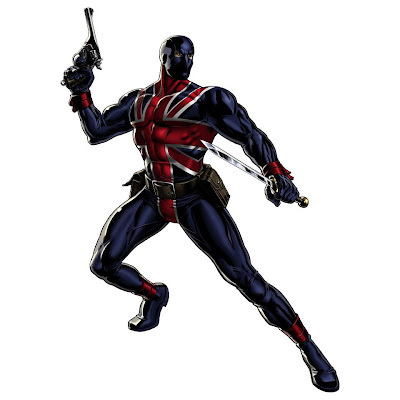 Black Knight is the newest hero available for recruiting in Marvel Avengers Alliance. 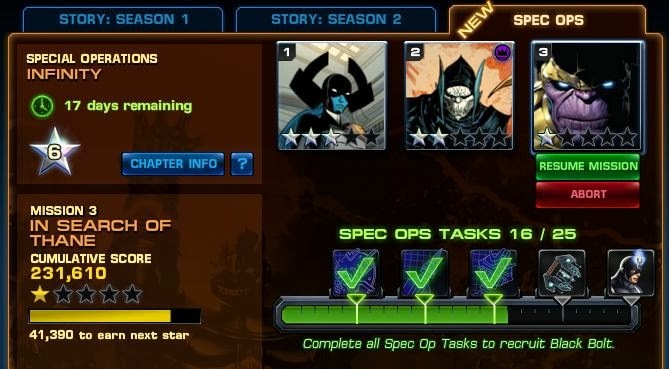 As with the new heroes, he'll set you back an even 90 command points. Notably, he's immune to magic effects. 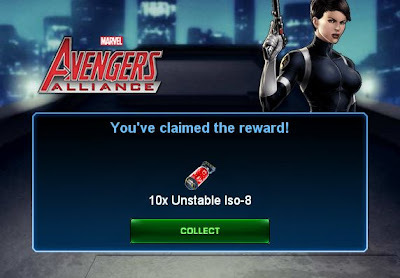 Take that Dr. 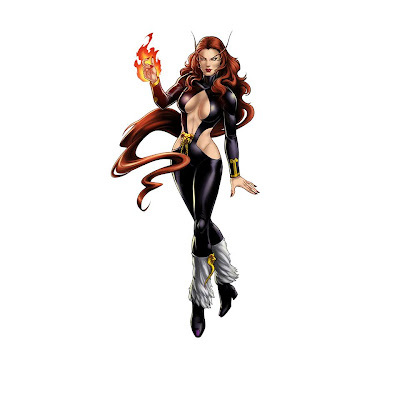 Strange and Scarlet Witch! (Actually, the most overused heroes in PvP seem to be Wolverine and Phoenix now). 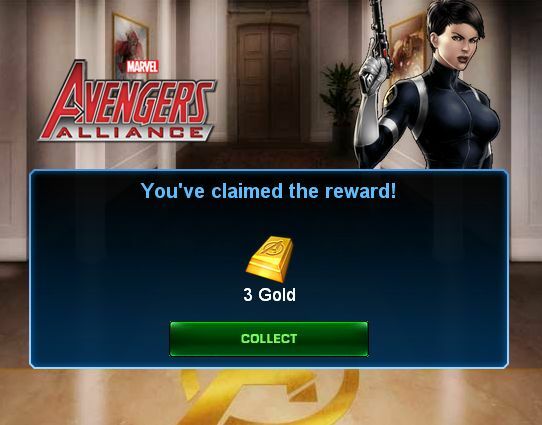 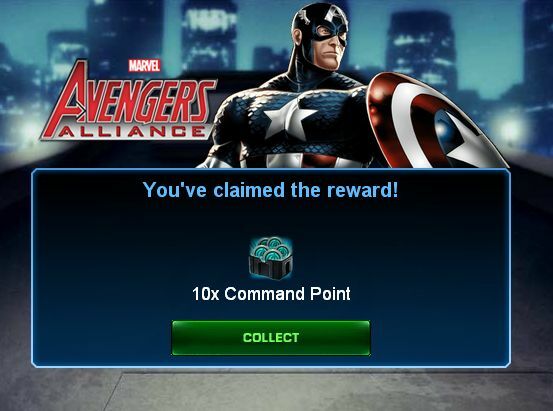 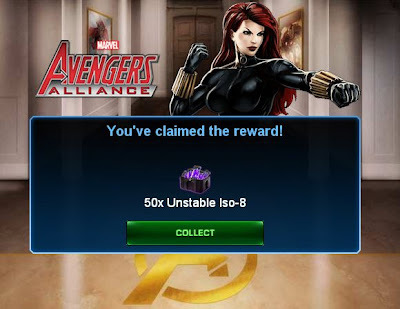 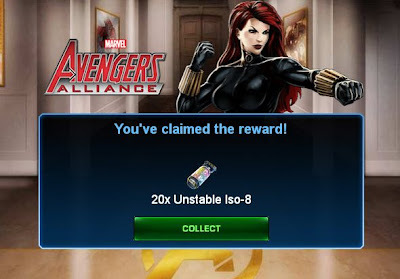 Along with a new season of PvP in Marvel Avengers Alliance, Season 6 brings a new PvP Lotto wheel with some updated prizes. The wheel is accessible once you achieve 5 PvP wins for the day. 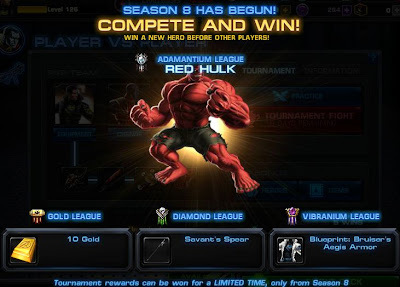 PvP Season 6 starts today in Marvel Avengers Alliance. 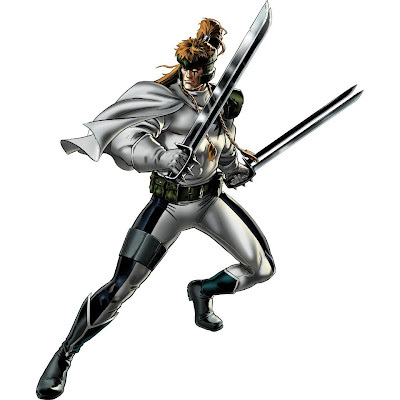 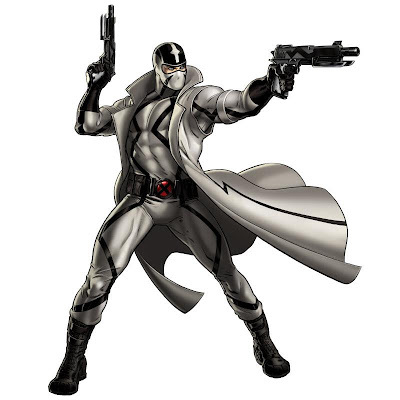 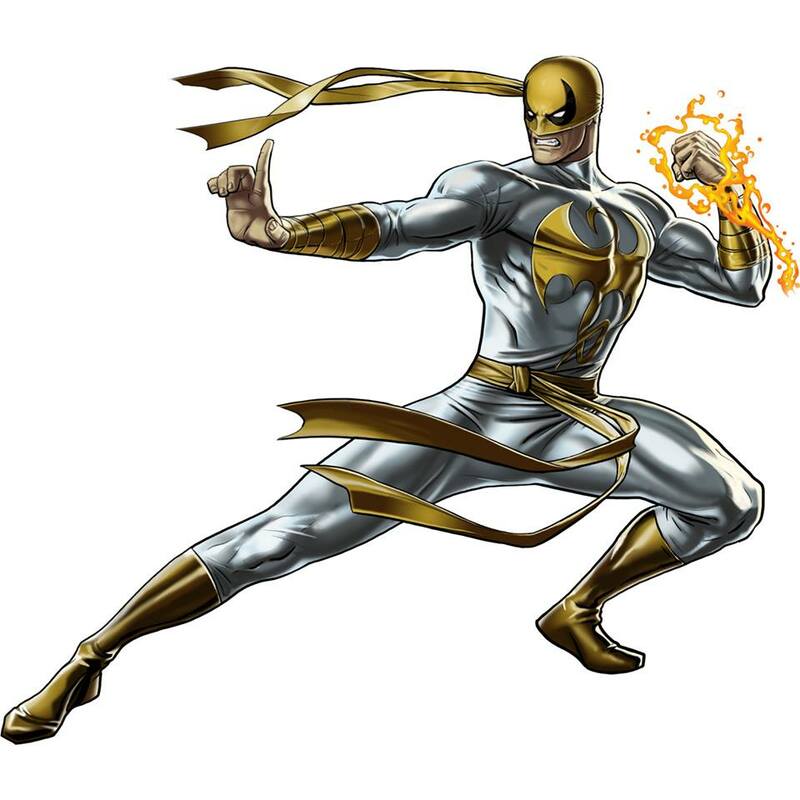 The hero up for grabs is Fantomex (whose most notable ability is that he basically gives "Reality Warping" i.e. 20% chance to dodge to your whole party). 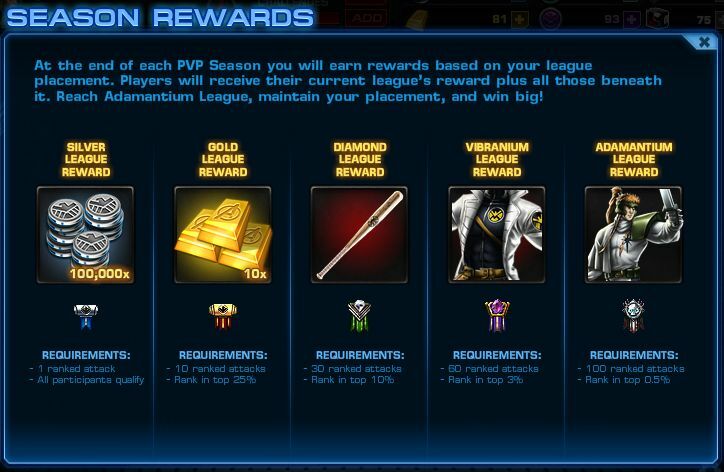 There are some significant PvP balancing changes on some chars that should support a bit more diversity among the top tier. 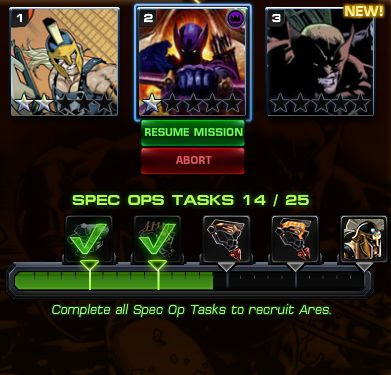 recruited at least 25 Heroes. 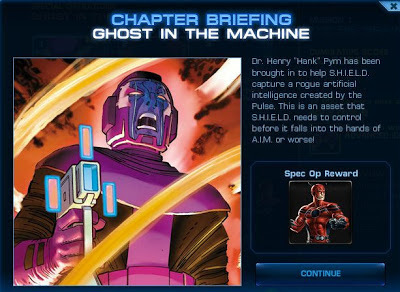 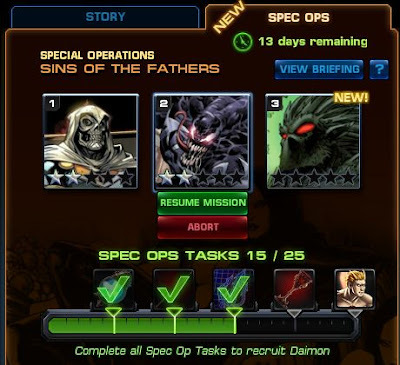 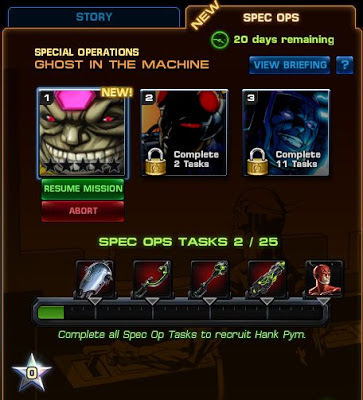 Spec Ops 7: Ghost in the Machine is well under way for Marvel Avengers Alliance. 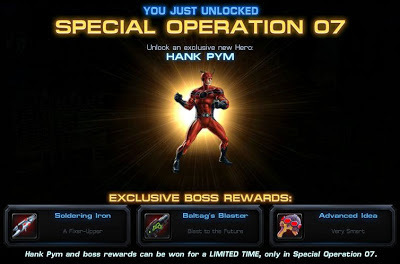 Complete all 25 task and Hank Pym (Ant-Man) is yours! If you're still in the hunt for Magneto, Magnetic Lockboxes are available as prizes in some deploys. 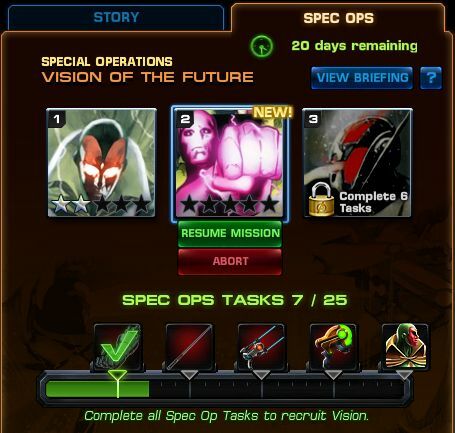 Marvel Avengers Alliance: Spec Ops 7 Begins! 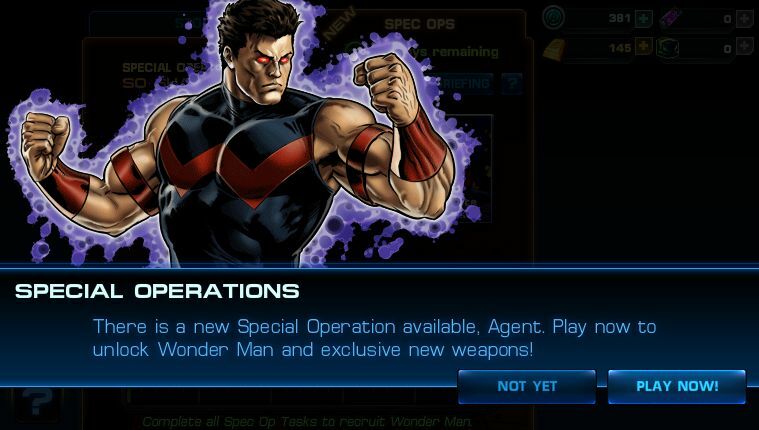 Ant-Man! 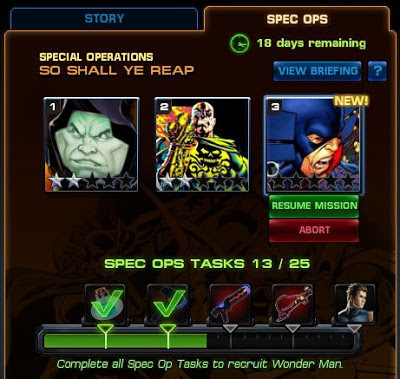 Special Operations (Spec Ops) 7 launched today for Marvel Avengers Alliance, which means... the game is slow! Okay... kidding! 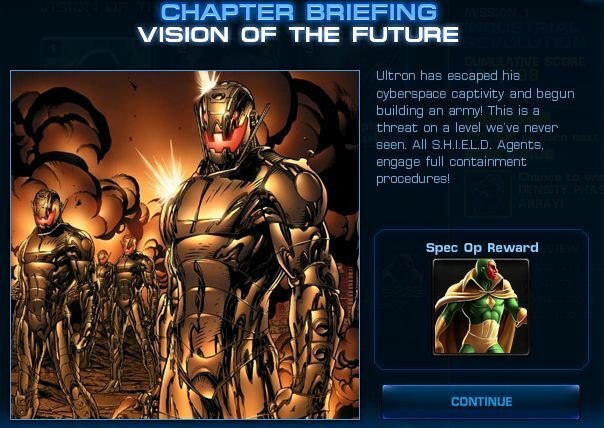 ...kinda (I'd be careful playing today as the game seems to crash more when Spec Ops just starts).